You just never know when someone will pick up on your blog! 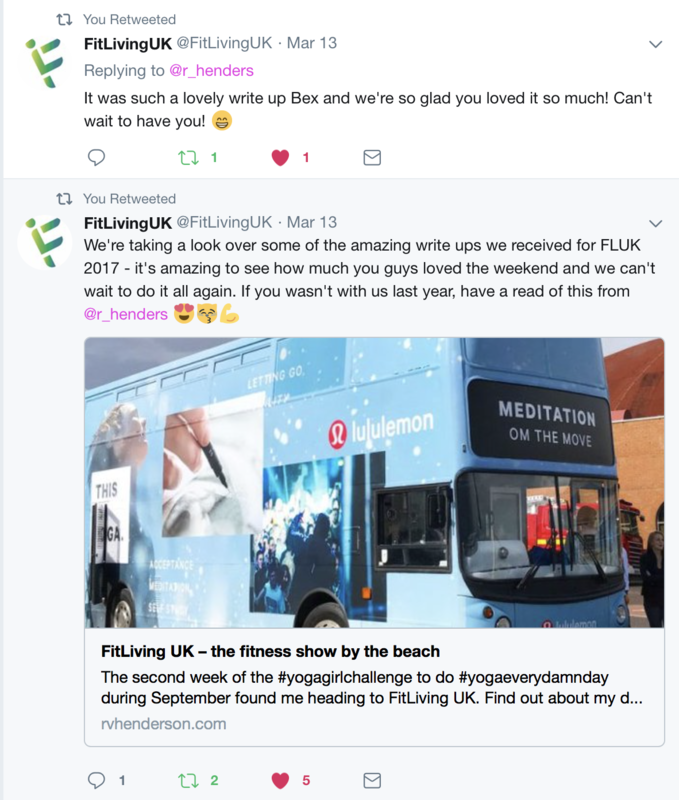 Almost six months after writing about Fit Living UK, it mentioned my blog post about the event on the Twitter account of the show. I’m mentioned in the Twitter feed in the bottom right hand corner! 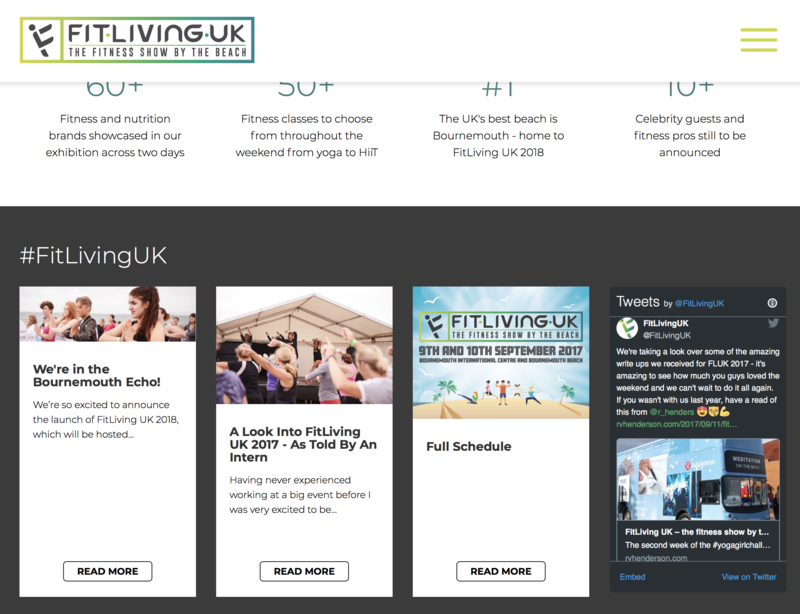 It was a lovely boost to the morning and I was delighted that they’d picked up on the blog post. Hopefully it will inspire some people to head to this year’s show, it was great fun in 2017.